Protocol Wine Studio's weekly #winestudio twitter chat session went Americana this July by featuring several wines produced in the other 46 as selected by LeMetro Wine Underground: The Independent Spirit | Wines of the USA. These are all family operations, with interesting stories to tell. I was familiar with all the wineries selected, except for Vermont's La Garagista, a producer of several french hybrid wines including the 2013 “Coup de Foudre” Pétillant Naturel. Michelle Williams, over at Rockin Red Blog has a nice recap on that wine. La Garagista was the focus of week 1, and the second week featured Wisconsin's Wollersheim Winery and McPherson Cellars from Texas. 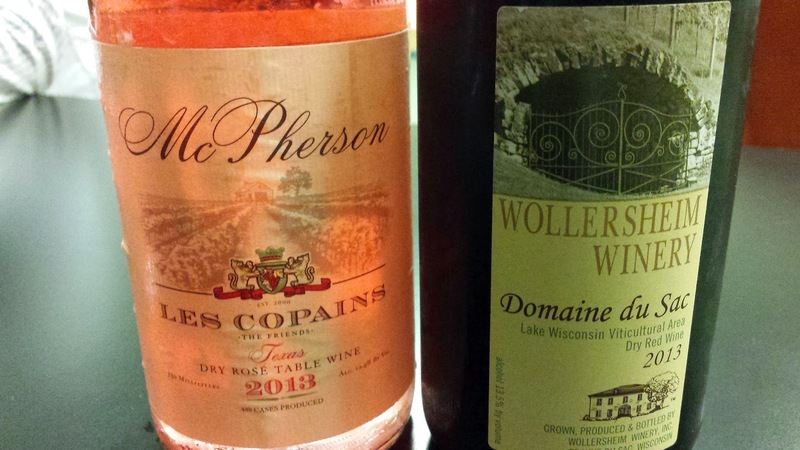 I included the Wollersheim 2013 Domaine du Sac in my The United Grapes of America series. In short, this is a very pleasing juicy blackberry-blueberry flavored wine with cedar-spice notes and solid acids. McPherson is also included in the UGA series with their tasty Tre Colore - a southern Rhone blend of Mourvedre, Carignan, and Viognier. During our #winestudio session, we focused on their 2013 Les Copains Texas Dry Rosé ($15), another similar Rhone blend of Cinsault, Mourvèdre, and Viognier. One interesting note, because of frost damage that year, the Viognier was sourced from owner and winemaker Kim McPherson's brother's vineyard in Temecula, CA. This is a dry rosé, with berry and tropic fruit aromas leading to soft cherry flavors, finishing with clean acidity. And at this price, a bargain. 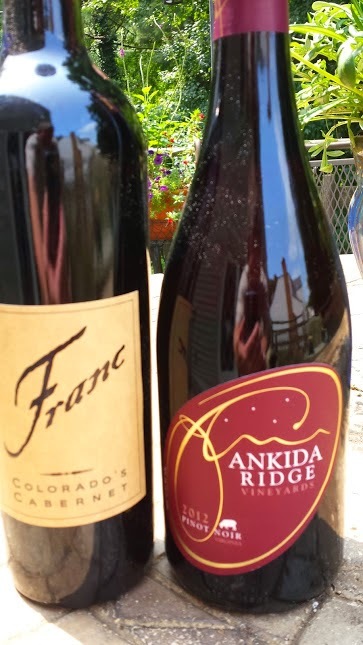 The final week featured the Creekside Cellars 2011 'Franc' Colorado Cabernet Franc ($50) and Ankida Ridge Vineyards 2012 Pinot Noir ($42). These both are good examples showing how both Colorado and Virginia are producing excellent wine. I just featured Creekside in the UGA, but in short there's also a nice lift and creaminess to the wine which finishes with smooth tannins and fresh acids. The Ankida 2012 Pinot Noir is a fine example how a warm climate Pinot can maintain acids and structure. The 1800 foot elevation and rocky, well drained soils is a perfect location for the grape - as the summer days are cooler than the surrounding area. The wine has a dusty character with black cherry flavors a hint of spice, and a juicy mouthfeel. A little Burgundy in the Commonwealth. Tomorrow, #winestudio continues a tour of lesser known wine regions by focusing on the Hudson Valley. Hope to see you online. Cheers.